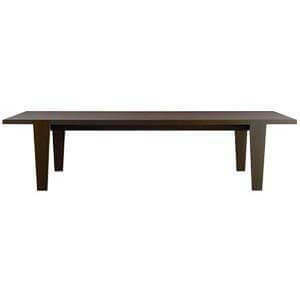 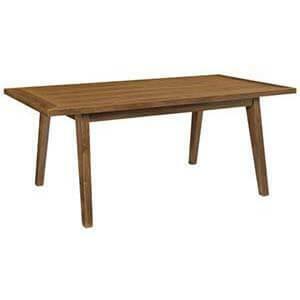 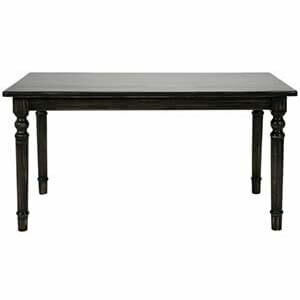 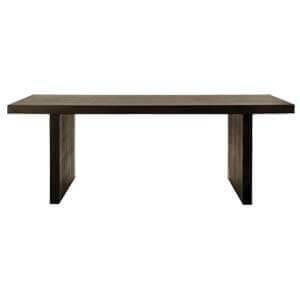 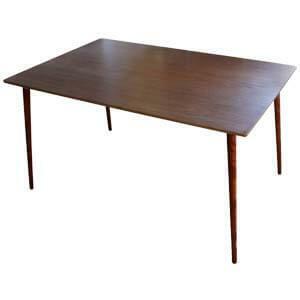 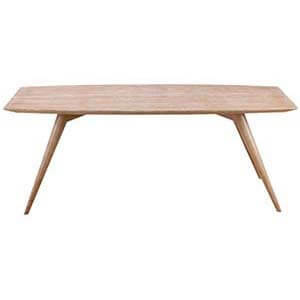 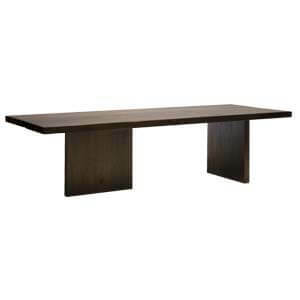 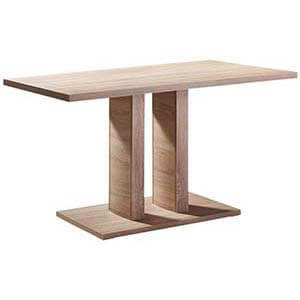 Rectangular in profile this handmade dining table is beautiful. 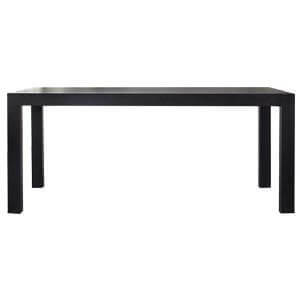 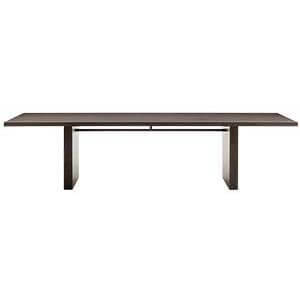 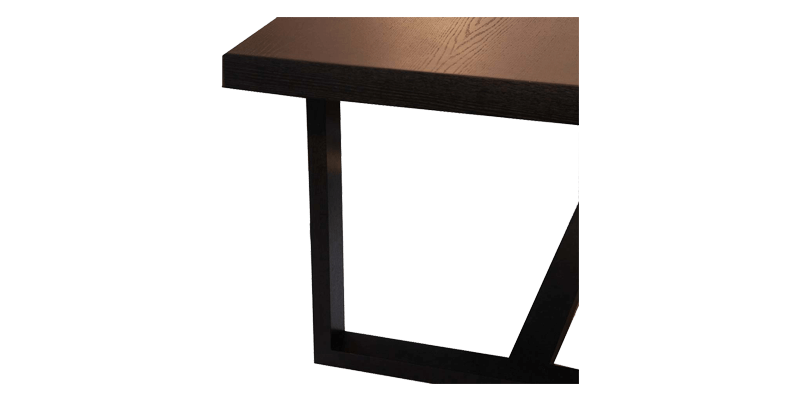 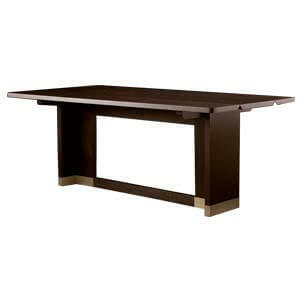 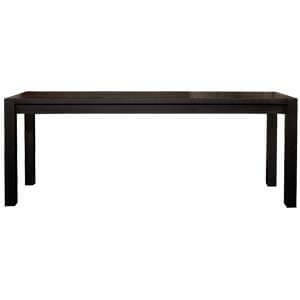 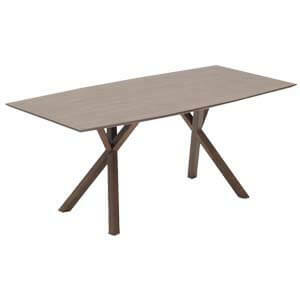 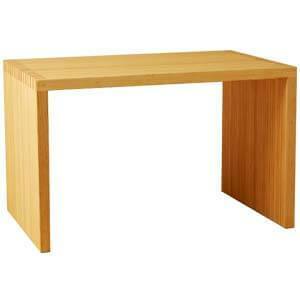 Featuring a flush thick table top it’s got clean straight lines with a laminated finish. 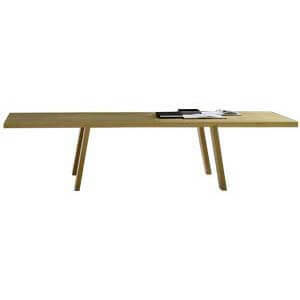 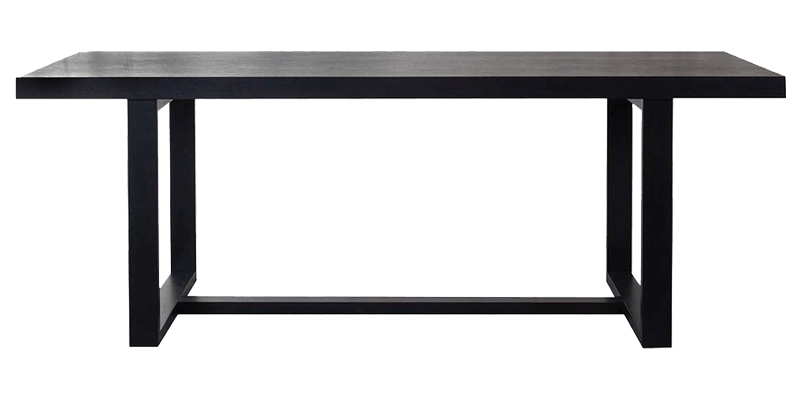 Furthermore, sled table legs that are joined in the middle by a sleek foot support it firmly.